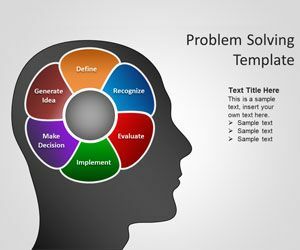 Free brain PowerPoint template is a nice PPT template for Problem Solving presentations but also useful for other presentation needs. 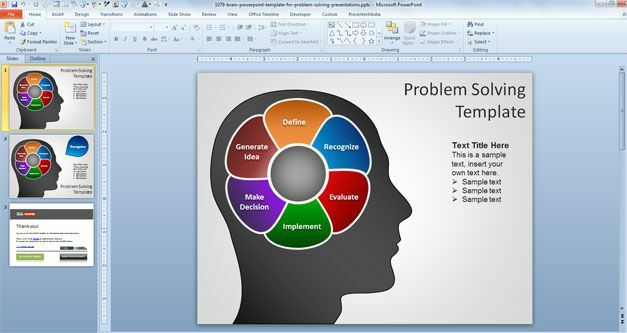 You can download free brain PowerPoint PPT template to make presentations on marketing, sales, idea, innovation as well as other presentations requiring a mind or brain illustration. For example, you can free download brain PowerPoint template to prepare awesome brainstorm events and make creative presentations with original slide designs. Free brain PowerPoint template contains a nice brain illustration created with PowerPoint shapes and lump head and marker style. 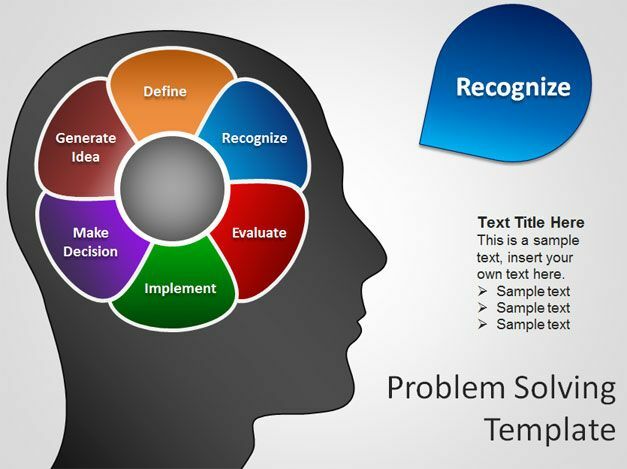 You can also use this free brain PowerPoint theme and background for Microsoft PowerPoint 2010 and 2013 presentations requiring a strategy theme or innovation slide design, great for product development, planning as well as smart presentations or decision making presentations in business or education sector. You can also use this template for PowerPoint presentations in presentations for University courses, including product innovation as well as MOOC courses or lectures on Singularity University PPT presentations. The slide design template with brain illustration has a nice and original circular diagram that you can use also in your presentations or academic PowerPoint presentations. You can edit the internal slide to match any stage of this diagram so the editable template can also be used for multiple purposes.